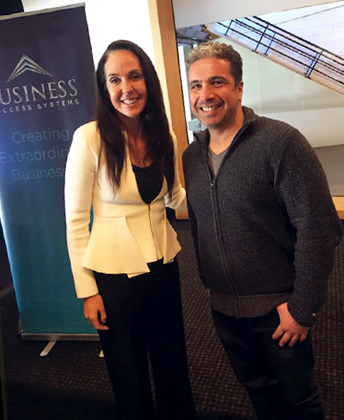 During this event, held at MCG last week, Janine Allis shared her story on how she scaled her small business into an international franchise, giving you tools, tips and tricks that you can implement immediately to set up your business to scale. This was a great opportunity to hear from an amazing businesswoman with expert advice and to network with like-minded business owners that are on the same path. Apart from her Directorship with Retail Zoo, Janine is a Director on the publicly-listed Michael Hill Jewelers, and was the first female director on the board of the Hawthorn Football Club. She is also the Best-selling author of The Accidental Entrepreneur, which is the story of Janine’s journey with Boost Juice. For this reason, today we are releasing further information on these arrangements through our Super Scheme Smart program. Super Scheme Smart is designed to give taxpayers access to relevant case studies and information packs to ensure they are well-informed about illegal arrangements, explain the significant risks associated with those arrangements, what warning signs to look for and where to go for help. “The arrangements may be cleverly disguised to look legitimate, involve a lot of paper shuffling and framed as being designed to give a taxpayer a minimal or zero amount of tax or even a tax refund or concession” Mr O’Halloran said. 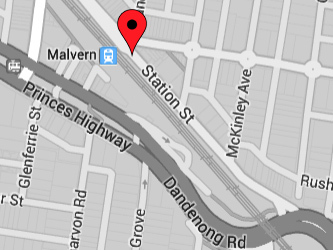 Arrangements where an individual or related entity grants a legal life interest over a commercial property to an SMSF. This results in the rental income from the property being diverted to the SMSF and taxed at lower rates whilst the individual or related entity retains legal ownership of the property. If you have information about these arrangements or would like to make a voluntary disclosure, phone 1800 060 062 or email reportataxscheme@ato.gov.au. If you are a small business, use the below table to find out what concessions you can access based on your turnover. The concessions have various start dates beginning from 1 July 2016. Note: Most concessions have additional eligibility requirements. 17/07/2017 Applying the $20,000 instant asset write-off? This tax time, your small business clients with a turnover of less than $10 million can write off assets costing less than $20,000 each in their 2016-17 return. All simplified deprecation rules will apply to assets when choosing this method. Understanding what you could do before and after 30 June 2016 can provide the icing on the tax cake for employees, investors and those in small business. Such things as bringing forward tax deductions or delaying the receipt of income within the rules can mean less tax this year. Click here to download a full transcript, PDF. NTAA 2016/17 Budget Update is now available from our website. Updates included in 2016/2017 Budget are non-concessional and concessional superannuation contributions, Transition to Retirement Income Stream, reducing the concessional contributions cap, improved superannuation balances of low income spouses, and more..
You may have heard recently that you can claim your handbag on your tax bill. Like many others who have called their accountants in the past month, it may have prompted you to ask "what else can I claim this year?" A quick scan through your wallet of receipts or around your home office would find dozens of tax deductions, but strangely some of the most lucrative and obvious ones get forgotten, tax advisers say. Of course, they won't all apply to you, as claimable items vary based on the type of work you do, how you invest and other personal circumstances. Having said that, there are some frequently-used items the professionals say people overlook. Do you use your iPhone or iPad for work and have to pay for it yourself? You may be able to claim a deduction for work-related calls or data, says Paul Brassil, a private tax partner at PricewaterhouseCoopers. He suggests undertaking a four week log of calls, based on your bill, and working out what portion was work and what portion was private. You claim the portion of work calls on your tax. If your employer pays for your phone calls, but you've purchased a cover for your phone or iPad to protect it, you may be able to claim that, he adds. If you have a small business, you can claim a portion of your electricity bill, your internet bill and even your rent. You can claim depreciation on new computers, phones and printers up to the value of $300. Depreciation on your furniture and lighting costs are fair game, to the value of 45 cents an hour for each hour you spend in the home office. However, this doesn't apply to people who work from home one day a week, Brassil says. You also cannot claim child minding as a tax deduction. One of the biggest potential windfalls we've seen in recent history is the $20,000 asset write-off for small businesses, which was announced in last year's Federal Budget. For small business owners, there is no limit on how many assets you can purchase, but beware that you will only get a percentage back and your immediate cash-flow may suffer, warns Dr Adrian Raftery, a tax adviser and senior lecturer at Deakin University. If you drive to see clients as part of your job, you can save on tax there too, but the ways you can do it have changed. The two deduction methods are now cents per kilometre, where you can claim 66 cents per kilometre travelled, or the trusty log book. "It's just a minute in the morning, a minute in the evening, maybe 120 minutes over the year for potentially an extra $5000 [in tax savings]," says Raftery. It's important to keep your receipts for petrol, insurance, registration, servicing and lease costs for the whole year, not just the log book period, he adds. Again, don't try and claim your travel to and from work; only genuine travel you take as part of your role that is not paid for by your employer. You may have done a self education course in the past year to improve your job skills. That's claimable. However, if you've done a course because you're sick of your current job and want to get a new one, that's not a deduction, says Brassil. Another one people forget all the time is charity. You may have donated to a political party or a fundraiser or a door knocker. As long as you have a receipt and it's a registered charity (see the ATO website), you can claim it. Dr Raftery says some people feel uncomfortable about claiming charitable deductions, but says the answer to that may be simply giving more to charity. "If you put $100 into a charity and you're in the top tax bracket you'll get $49 back. If you feel funny about that, why not give $200 to charity and get $98 back?" The Tax Office can look at your deductions against the average of other people in your industry and based on that information, you may trigger an audit if you've inflated your costs. The most important advice from the experts is don't make anything up, because you'll more than likely get caught. It's also not necessary when there are ways to save thousands legitimately. Further to our previous advice please note the following: Under SuperStream, Employers need to pay super contributions for their employees electronically (EFT or BPAY) and send the associated data electronically. This means Employers can make all their contributions in a single transaction, even if they're going to multiple super funds. Good info and easy to follow. They have Web Chat available from 3pm to 9pm to assist with your enquiries too. As always please contact our office for the obligation free discussion of your circumstances.